Webinar: First Day Tips & Tricks! Are you already making preparations for the first day of school? Need some new or fresh ideas? 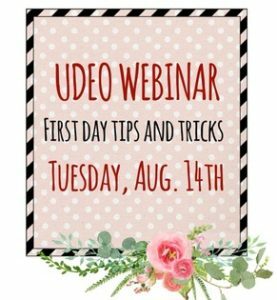 Join us for a UDEO webinar covering tips for the first day and start of the school year! Meryl Henrie will be online this Tuesday, August 14th, from 7-8 pm to share her tips and tricks developed through her years of teaching dance at Viewmont High School.